One of the most used criterion for evaluating space-filling design in computer experiments is the minimal distance between pairs of points. 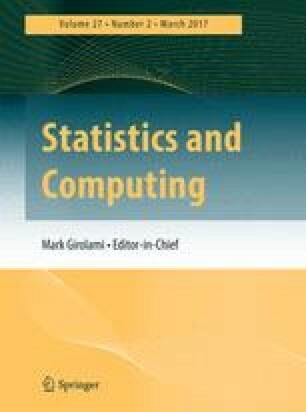 The focus of this paper is to propose a normalized quality index that is based on the distribution of the minimal distance when points are drawn independently from the uniform distribution over the unit hypercube. Expressions of this index are explicitly given in terms of polynomials under any \(L_p\) distance. When the size of the design or the dimension of the space is large, approximations relying on extreme value theory are derived. Some illustrations of our index are presented on simulated data and on a real problem. The authors are grateful to the Associate Editor and the anonymous referees for helpful suggestions which helped to greatly improve the initial text. Luc Pronzato deserves thanks for careful reading and interesting ideas on the occasion of a first version of the paper. Special thanks also go to John P. Nolan for his help on correcting our English.